Pieter lives in a village called Helden, in the south of the Netherlands. Having more than 10 years of DJ and producing experience under different alias, one might claim that he’s become quite a hardstyle professional by now. In 2008, Pieter’s endless passion for hard dance music caused him to create his own label named Theracords, “Music Produced from the Heart”. Less than five years later, Theracords artists have performed on nearly every hardstyle event. Besides, they have produced countless many hits, and hosted quite some parties by now. 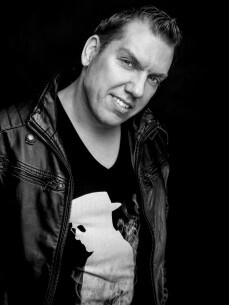 Since Dj Thera closed down the Loudness event in 2011, his amount of performances has grown significantly. He was asked to play at many big festivals like Alcatrazz, Dance Valley, the Qontinent, Syndicate, Dreamfields, Fusion of Dance and Wish Outdoor. From that point on Dj Thera kept growing as he had played at almost every big hard dance event you can come up with. Think about Emporium, Decibel, Dominator, Hard Bass, Qapital and Intents Festival. Last year he managed to set up a tour through the Netherlands together with his label to celebrate their 5 years of existence, which ended up with a blast at the Matrixx. Keep an eye on Dj Thera because there is much more to look forward to for you in 2014.